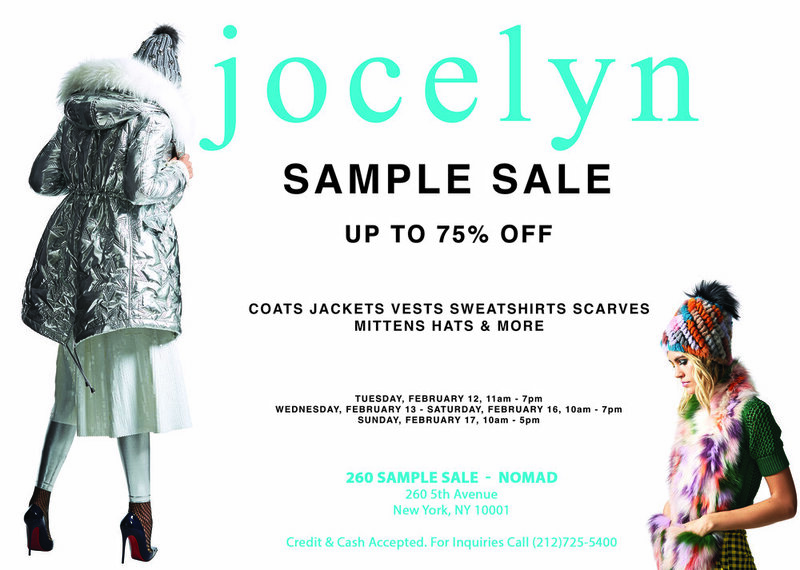 260 Sample Sale welcomes the first Jocelyn Sample Sale to our 260 5th Avenue location in NoMad! Join us Tuesday, February 12th through Sunday, February 17th to shop women’s fur fashion, including fur outerwear & accessories at prices far below retail! "Jocelyn, founded by Jocelyn Gordon in 2001, is a contemporary fur outerwear and fur accessories brand. Ubiquitous among today's style influencers, Jocelyn pioneers wearable and approachable fur, recognized for combining materials with a playful and modern sensibility."